I love a coming of age story with humour and heart. I’m talking about films such as Wes Anderson’s Rushmore, The Virgin Suicides, The Way Way Back, The Spectacular Now, The Breakfast Club and this year’s The Fault in Our Stars. And books like A Prayer for Owen Meany and Cider House Rules (John Irving), How I Live Now (Meg Rosoff), Never Let Me Go (Kazuo Ishiguro), The Secret History (Donna Tartt), Oranges are Not the Only Fruit (Jeannette Winterson) and the Harry Potter and Hunger Games series’ (some of which are less on the humour, more on the heart). The best ones often make me envious. When I think about their impact on a generation and the way they manage to stay with me for so long, I absolutely ache to write something so sweetly poignant. I have a new favourite author to add to my list now, too: Rainbow Rowell. When I really fall for an author’s work, I’ll seek out their other novels, working my way through their back catalogue within the space of weeks or months. When a friend recently passed a copy of Eleanor & Park to me, I instantly became engaged with this tale of first love and was reminded of the painful awkwardness of being a teenager. 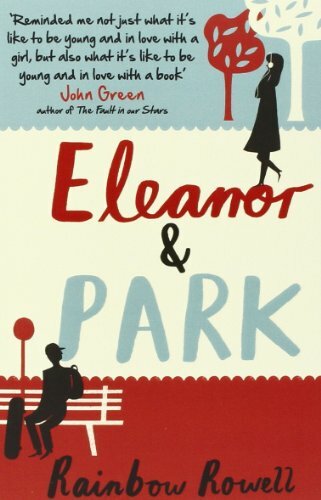 Set in the eighties, Park is the boy on the fringes brought out of his shell by his relationship with Eleanor, the new girl at school from the wrong side of the tracks. It’s Pretty In Pink with more grit and a more alluring hero than Andrew McCarthy’s ‘Blane’, and it hit me right in the chest, taking me back to all those feelings of being young, powerless and just too damned green to be taken seriously. 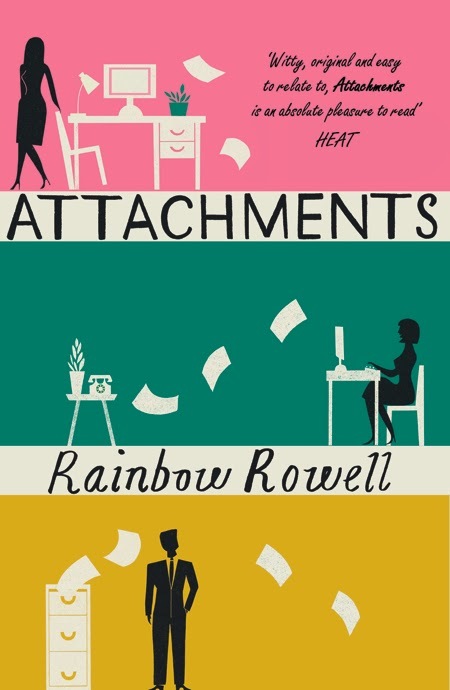 Next up was Attachments, which flips between third person narrative and an epistolary of sorts via email. This earlier novel has a wonderful, original premise (a web monitor at a newspaper office falls in love with a staff journalist after reading her emails) and sharp characterization. I adored the two main protagonists, Lincoln and Beth and all the other people in this story, feeling loathe to say goodbye after turning the last page. I’ve been reading a lot of stories about growing up this year. I think it might be because most of the people in my life are well beyond that stage now, moving into a period of deeper awareness about how life inflicts its numerous cuts and bruises over time through illness, divorce, death and even just the daily occurrence of misplacing one’s self through having children. And how that, while the gains are tremendous, there’s also more to lose; the stakes are higher. It’s comforting to remember a time when the desire to be older and start living your life the way you wanted to was the most immediate, overwhelming desire of all, and it felt just as raw and important. For the reading list: Landline and Fangirl from this New York Times best-selling author. I feel certain I’ll enjoy them as much as I did Rowell’s first two.